In honor of Loretta Lynn’s upcoming birthday party at Bridgestone Arena on April 1, I’m taking a step back in time to the Queen of Country Music’s very first album. With two charting singles, Loretta Lynn Sings was released on December 9, 1963. 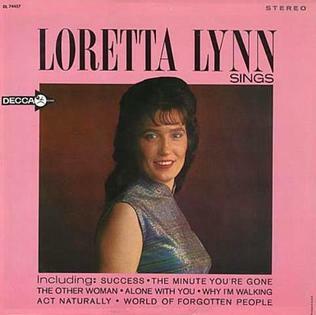 In the issue dated December 21, 1963, Billboard reviewed the album, stating “Miss Lynn sings up a storm on this fine new album, on songs by both herself and various other good country writers. The ballad material, much of it steeped in the traditional heartache groove, includes such titles as “The Other Woman”, “A Hundred-Proof Heartache”, “Color of the Blues”, “Lonesome 7-7203”, and “The Girl That I Am Now”. 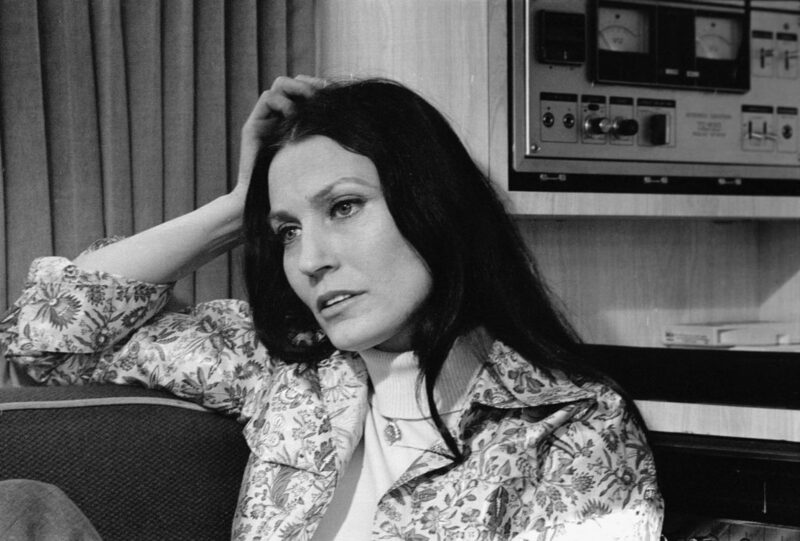 It’s powerful stuff, ably sung, and it can sell well.” Loretta Lynn Sings, recorded at Bradley Film & Recording Studio and Columbia Recording Studio, peaked at number 2 on the US Hot Country Albums (Billboard) by 1964. Surprisingly, Lynn only wrote three songs on her debut album; “The Girl That I Am Now”, “World of Forgotten People”, and “Hundred Proof Heartache”. The rest of the album is comprised of songs by writers such as John Mullins, Melvin Endsley, Stonewall Jackson, Jimmy Gateley, Johnny Russell, George Jones, Cindy Walker, and Justin Tubb. This true-blue country album acted as the beginning of a steady stream of hits for Lynn. 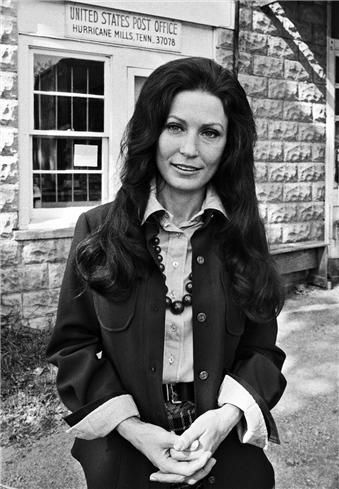 Now I’ve listened to A LOT of Loretta Lynn, and the woman is consistent from start to finish. Never once has Lynn strayed from her honky tonk style and bitingly honest (and often amusing) lyrics. Her first album, when she conceivably was still “finding herself” as an artist, is no exception to the rule. From “Success”, the first track on the album written by John Mullins, to “Lonesome 7-723” written by Justin Tubb, the album paints a picture of a dynamic, diverse group of women, all wrapped up in tiny little Lynn. Lynn’s ability to choose songs that sound like she could have written them is a rare talent. I was tuned in to WSM with Devon O’Day yesterday to listen to Loretta’s granddaughter, Tayla, talk about her own music, her relationship with her grandmother, and the upcoming birthday tribute when O’Day broke out “Success”. Lynn’s version of the song is pushing sixty years old and she didn’t write it herself, but the lyrics and composition still stand up today. With its fiddle intro and crying steel to back the pint-sized singer, the song acts as a version of the truth we’ve all known at one time or another in this industry. “Act Naturally” is the best song on the album. Don’t fight me on this. Originally written by Johnny Russell and Voni Morrison and recorded by Buck Owens and the Buckaroos (which, by the way, charted at number one on the Billboard Country Singles chart in 1963, the same year Lynn released this album), this song has also been recorded by Dwight Yoakam, Mrs. Miller, The Beatles, and Ringo Starr & His All Starr Band. If you time it right, you can catch an artist or two covering it down on Broadway as well. As a beloved “Country Classic”, Lynn’s upbeat, lighthearted version is my favorite and should be considered one of the best covers she’s ever done. All in all, this is a solid first album. No song feels out of place or unbelievable, and the compositional variances in complexity highlight Lynn’s superb vocal skills. The storytelling style is consistent and each song touching in its own way. Lynn’s “Hundred Proof Heartache” gives audiences a first look at the hundreds of songs she would wind up writing about her personal experiences with her husband, family, and as a working woman in an era where women were taught to stay home and raise babies, not seek out careers. Look. We all know this album is fantastic, as is every other album and musical project Lynn has ever released or participated in. We just wanted a reason to celebrate her as the entire country music community prepares for her birthday! Happy Birthday, dear Loretta. Thank you for the music, the wisdom, and your generous spirit. You make our industry better, and a whole lot more fun.